There, I said it. Three times in fact. I'll say it again. 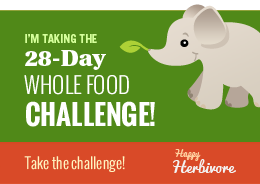 I'm taking the 28-day Whole Food Challenge. 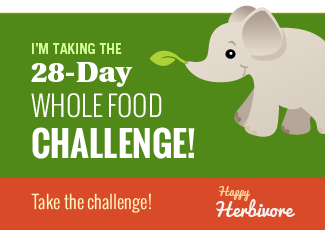 Lindsay from the Happy Herbivore has set up a challenge for anyone that is interested. I encourage you all to go and have a look. Your body will thank you. I am doing well so far, quinoa and rice porridge with fruit salad for breakfast this morning, yummo. Hopefully the next 27 and half days will be as good.